The Platinum Card is a charge Card, not a credit Card. 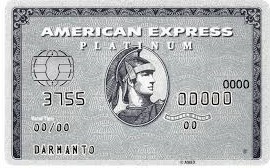 Unlike a credit Card, the American Express® Card has No Pre-set Spending Limit. You can spend as much as you have shown us you can afford. This makes the Card ideal for shopping, dining, travel and entertainment.